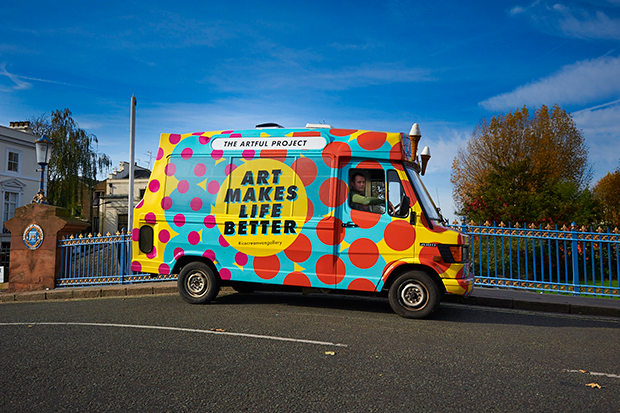 The Artful Project’s art-cream van. Tags: accessible art, art in public space, art mediation, contemporary art, online gallery, public space, temporary installations. Bookmark the permalink. Alternative forms or displays of art take ever more inventive turns. Looking forward to the Outsider Art Fair in NY in January 2015.